Circumstances might have changed, but the West Coast Eagles’ goal remains the same for season 2019: to qualify for finals as quickly as possible. 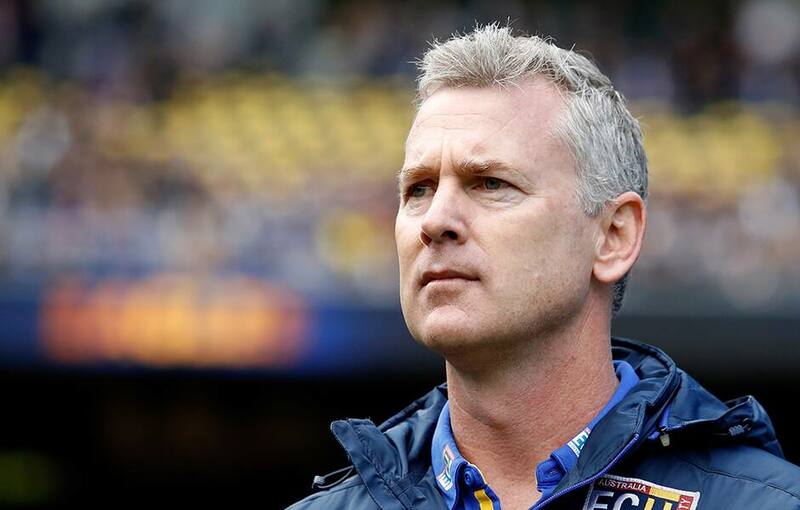 Premiership coach Adam Simpson revealed to 6PR’s SportsdayWA that he might make some minor tweaks to the club’s game plan in a bid to stay ahead of the competition, but he didn’t see the need for sweeping changes in light of West Coast’s grand final triumph. “We won’t change our approach,” Simpson said. “We will try to qualify for finals as quick as we can and let the rest take care of itself really. That’s the same as it was last year and the year before. I don’t want to dance too far away from that. “However, we need to look at a few things, but we won’t reinvent the wheel. I think we need to evolve. “We had some good success with two rucks last year. Do we continue to do that? We lost Scotty Lycett, but we’ve got two to three new ruckmen coming into our system. The squad showed no signs of a premiership hangover yesterday as they hit the track for the club’s annual pre-season 2km time trial. In spite of the searing conditions – the temperature maxed out at approximately 36 degrees at the time of the time trial – more than 10 Eagles achieved personal best times during the gruelling run. Simpson was relieved to see that his charges had returned in “good nick” following their post-season break. “The one thing you do reflect on when you’ve got the break is how are they going to return,” he said. “With pre-seasons now they have eight weeks alone and you don’t really connect with the players at all. You give them programs and expectations, and I suppose the worry is that after a premiership they don’t do the work on their own, that they (might) cut corners and take some liberties that they might not have taken last year. “But we were really pleased. We got at least 10 (personal bests). It doesn’t really mean anything, it’s just a 2km (run), but it’s a good start.